Discussing Carnegie Hall and corporate sponsorship opportunities. 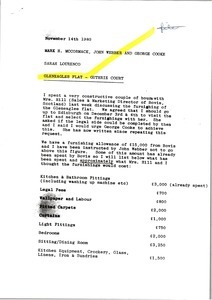 McCormack inquires on the status of the tent company or the purchasing of tents. 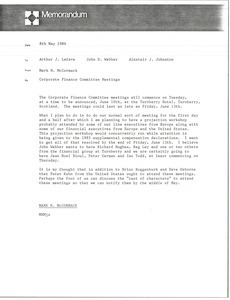 Discussing the corporate finance committee meetings. 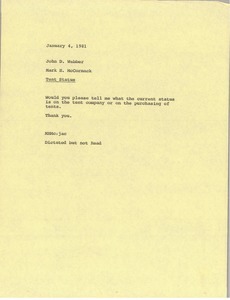 McCormack feels that Macklin can go to Philadelphia if he wants. 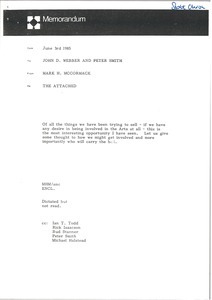 Lourenco writes regarding furnishing and other business with the Gleneagles flat on Guthrie Court in Scotland. 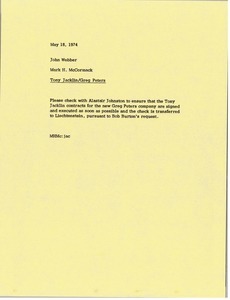 McCormack asks Webber to check with Alastair Johnston regarding the Tony Jacklin contracts for the new Greg Peters company. 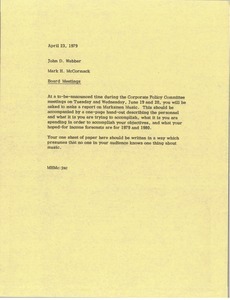 McCormack asks Webber to give a report on Marksmen Music at the upcoming Corporate Policy Committee meetings. 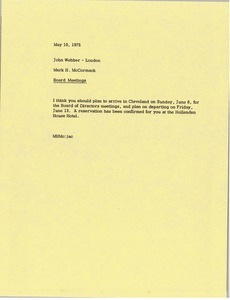 McCormack writes regarding arrival time and accommodations for the Board of Directors meeting in Cleveland. 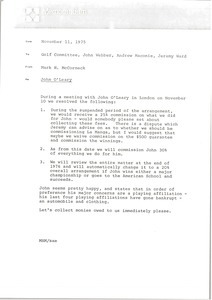 Concerning a meeting with John O'Leary. 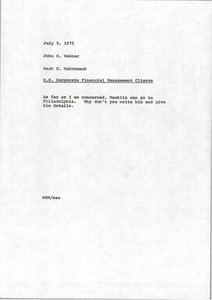 McCormack notes the resolutions of matters concerning commissions fees from John and LaManga, future commissions, and the review terms. 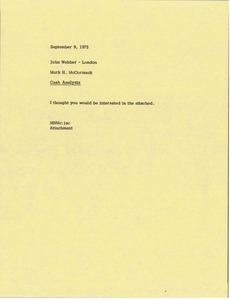 McCormack sends John Webber something relating to cash analysis which he thinks will be of interest to Webber. Enclosure not with letter.